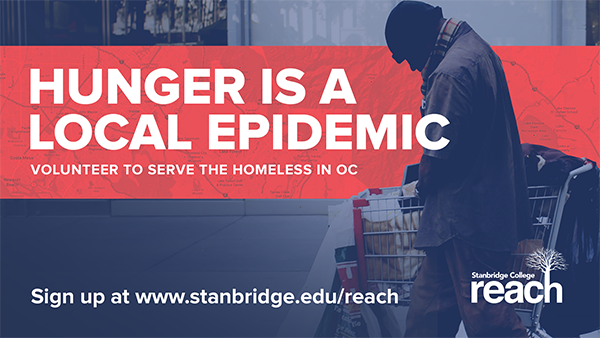 Stanbridge College REACH – Beyond the Classroom invites you to volunteer to help feed the homeless this Saturday, February 15th, in Costa Mesa. According to the Orange County Nutrition and Food Insecurity Profile of the California Food Policy Advocates, 33.7% of low-income households experience hunger at least once a day. Help them battle hunger and volunteer this Saturday to serve a warm meal to Orange County’s homeless and hungry.